La Mystère de Tjipetir | One quality, the finest. 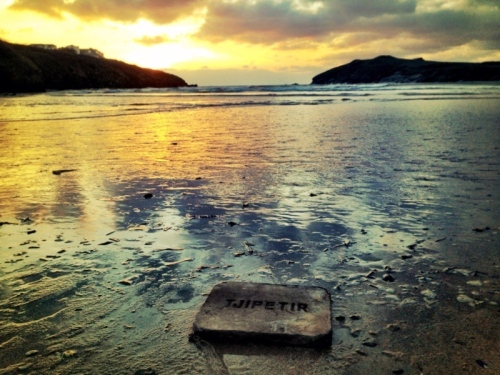 For the past year, from Spain to Denmark, mysterious rubbery tablets with the word “Tjipetir” inscribed in them have washed ashore on European beaches after storms. In February 2013, a family from Normandy was strolling along the beach when they found one. They’d already seen some coverage about la mystère de Tjipetir (lah meestare duh Chip-e-teer). They went online and added their location to the hundreds of other sightings around Europe. Where are the blocks from? 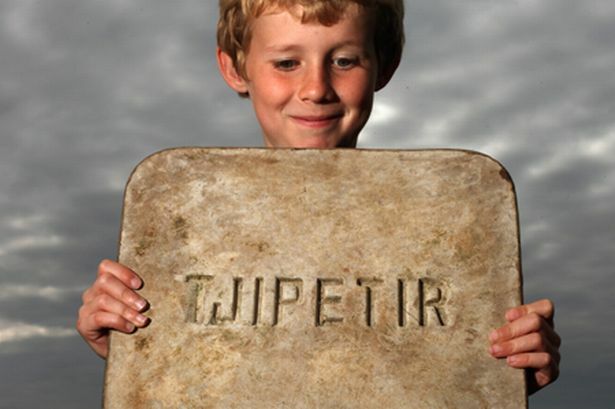 These strange blocks originated in Indonesia in a village named Tjipetir. At the beginning of the last century, this little village produced insulation blocks made from leaves from the gutta-percha tree. Each one was stamped with the name of the town. This was the same resin used by Pauline Moynat to make her luxury luggage waterproof during the late 19th century. 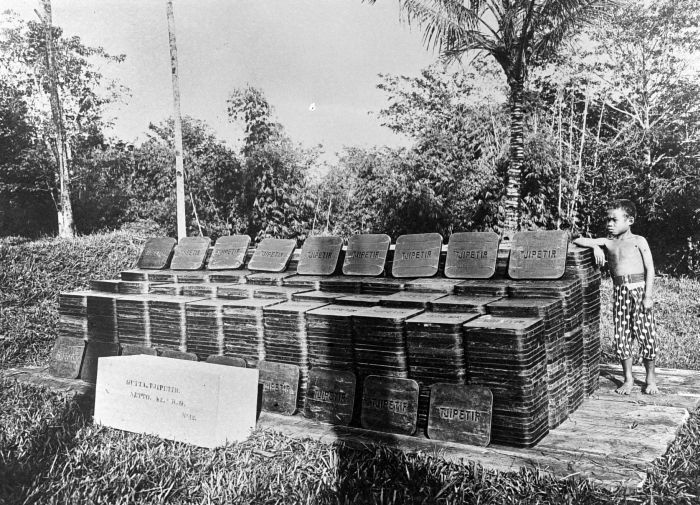 Production of the blocks ended in 1920. In 1912, the Titanic was transporting a cargo of these tablets when it went down in water that was over two miles deep. The wide dispersion of them supports that they originated far out at sea and far down, according to oceanographer François Galgani. Technically, the hypothesis of the Titanic is plausible, but it must be admitted that other wrecks that went down in the Atlantic were carrying the same cargo. There are also plenty of fraudulent claims that various pieces of wreckage belonged to the Titanic, in order to boost the value. Divers saw similar tablets in the wreckage of the ill-fated ship, but it’s become so unstable that there’s no way to take samples to compare what has washed ashore with what’s still locked in the briny deep. Still, it’s a great story. This entry was posted in History and tagged François Galgani, gutta-percha, la mystère de Tjipetir, Titanic, Tjipetir. Bookmark the permalink. This is a great story! It’s so good, I don’t care if it’s true or not. “When the legend becomes fact, print the legend” I always saw (after I saw THE MAN WHO SHOT LIBERTY VALANCE for the first time). I’m so glad you are as intrigued by it as I was.